Ash Cranston and Tom Champion from Brisbane’s Felons Brewing join Matt as the brand new venue explodes in popularity. 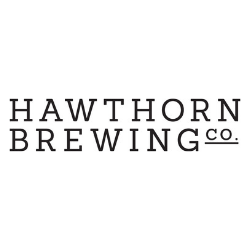 Brews News readers will know that Felons opened as part of the city’s Howard Smith Wharves precinct just before Christmas, and promptly ran out of beer such was the immediate popularity of the venue. Ash and Tom are both Little Creatures alumni, Ash from the hospitality side of that business and Tom as a brewer. In this conversation we find out a little about their backgrounds and the varied paths that brought them into beer and ultimately to Felons. We discuss what they learned working for a business such as Little Creatures, which really set the standard for brewery hospitality – and for beer – when it opened in Fremantle, and what they have carried with them in opening Felons. We hear what they wanted to achieve with the beer and the venue, and how you cope when demand far exceeds even your most optimistic projections…and your capacity. Brews News Week is Proudly presented by Cryer Malt. With over 25 years in the field, Cryer Malt have been bringing you the world’s best local and imported malts. Your premium brewing partner and proud supporters of Brews News.